Watching Frederick Wiseman's 1975 film Welfare is like taking a time machine back to the grungy and non-gentrified New York City at the time of the city's financial crisis and close call with bankruptcy. Everyone at the Waverly welfare office is smoking and the computers are from the Mesozaic era (bottom still), but the overworked staff comes across as resolutely willing to listen. Indeed, a 1975 portrait of bureaucratic dehumanization now seems far less menacing. Wiseman's close-in, eavesdropping documentation of client-staff interactions gives us a wide range of stories and personalities. We hear from the woeful, the mentally ill, and the unlucky, with a few con artists thrown in the mix. 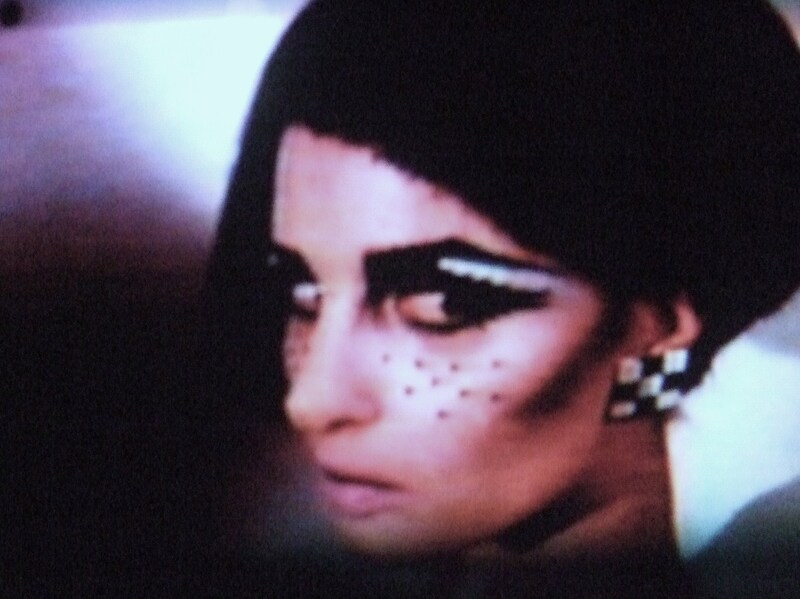 Frederick Wiseman's Seraphita's Diary (1982) is a conceptual one-woman performance piece featuring actress-model Apollonia van Ravenstein playing dozens of characters: old and young, men and women, in minstrel blackface and haute couture. 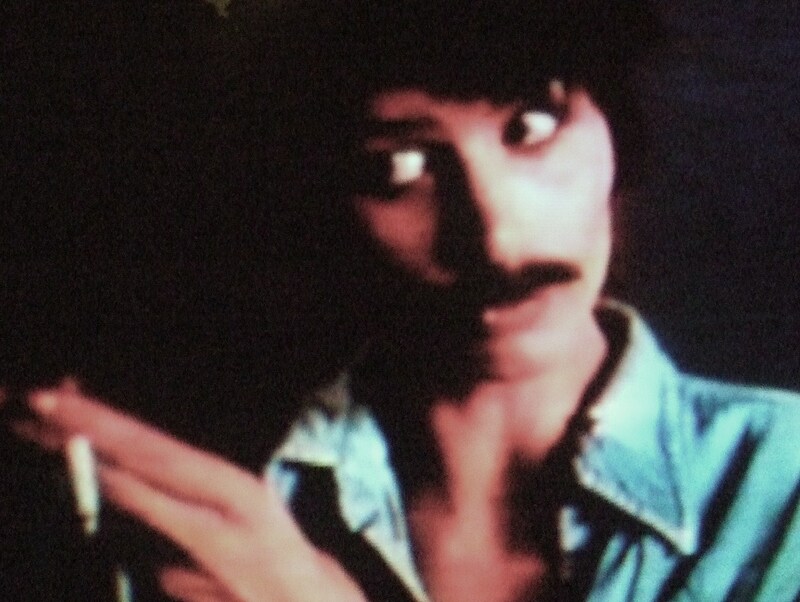 (Such wildly disparate personas bring to mind Cindy Sherman's range of self-portraits.) In Seraphita's Diary, Wiseman imagines a model named Seraphita who has disappeared, leaving her diary behind. The film presents a succession of conversations. 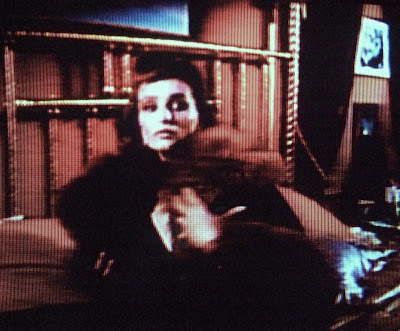 One scene, for example, shows van Ravenstein as photographer, makeup artist, model, and other supporting figures at a pretend fashion shoot. Perhaps Wiseman's fictional "Seraphita" is a reference to the androgynous title character in Honoré de Balzac's 1835 book. Robert Drew's Yanki No! had a remarkable team of filmmakers including Richard Leacock, Albert Maysles, and D.A. Pennebaker. The film aired on ABC in December of 1960 as part of the Bell & Howell Close Up series. Observational footage of a wide range of people and places in Latin America demonstrated the power of documentary images to convey the region's anti-American popular opinion. Latin American activists were aware of the impact of American television: one Venezuelan official pointedly tells the cameramen go out to the slums and film there (and they do). Yanki No! cuts from erudite conversations to crowded rallies, with many "face in the crowd" close-ups. 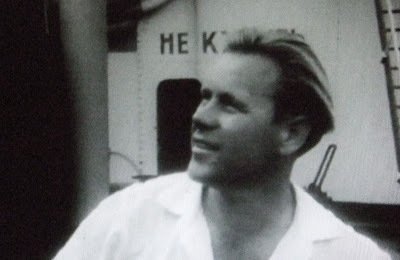 In Havana, for example, a young woman (top still) and a Russian sailor (middle) speak to the filmmakers. 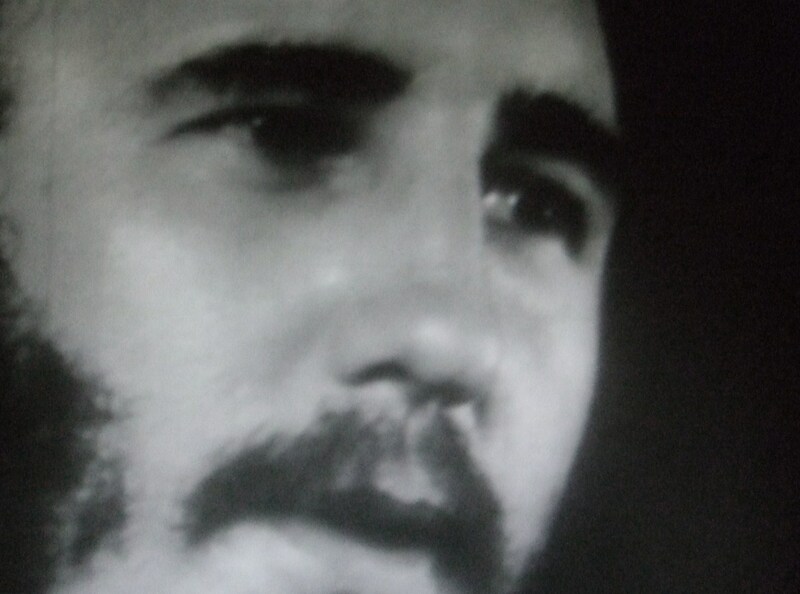 The climactic scene in the film shows Fidel Castro in his heyday (bottom still). 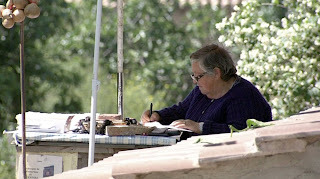 Maria's Way (2009) was made by Anne Milne as a student in the MFA Film Directing program at the Edinburgh College of Art. The film's quiet observation of one stop along a well-known pilgrimage route (the Way of St. James, in northwestern Spain) documents a day in the life of Maria Teodora Mediavilla as she greets passers-by heading to the cathedral of Santiago de Compostela. The film unexpectedly uncovers a very human and sardonic side to Maria's deeply-felt religious call to reach out to the pilgrims. Ondi Timoner's Dig! (2004) is a Handycam special: a homemade, years-of-shooting documentary yarn about two rock bands and the uncomfortable rivalry between their two leaders, Anton Newcombe (top two stills) of the Brian Jonestown Massacre and Courtney Taylor (bottom still, gussied up for a music video) of the Dandy Warhols. Although Newcombe consistently undermines his own career with on-stage fights (third still), narcissism, and substance abuse, the camera loves him and the film portrays him as some sort of genius. Taylor's narration and Timoner's thoughtful editing bring together a sprawling story. Leon Gast's Smash His Camera (2010) showcases the allure and quantity of Ron Galella's celebrity photography while also offering a payback on behalf of the famous people he chased, among them Jackie Kennedy Onassis and Marlon Brando. The documentary questions Galella's motives, laughs at his singular lack of self-insight, and gives airtime to critics who malign his reputation (Thomas Hoving is particularly biting in his assessment of Galella as trivial sideshow). Galella is proudly game throughout, oblivious to his own exploitation-by-documentary. Editing by Doug Abel brings out Galella's future irrelevance. One sequence, for example, juxtaposes a celebrity event (middle still: Galella and Taylor Swift) with a hyper-clueless woman at a gallery. This young woman stands in for everyone under the age of 35 who would be equally unable to recognize John Belushi, Brigitte Bardot, Henry Kissinger, or Elizabeth Taylor and Richard Burton (bottom still). 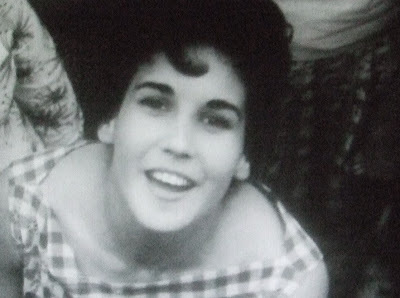 Crisis: Behind a Presidential Commitment (1963) is a documentary made up of pairs: two students trying to integrate the University of Alabama, James Hood and Vivian Malone (top), two political opponents at home in the morning before work (Robert Kennedy and George Wallace, second and third stills), and two sides of a confrontation between George Wallace and Nicholas Katzenbach (bottom two stills). Much of the action depicts simultaneous phone conversations, shot in Washington and Alabama, featuring anxious middle-aged white men. The filmmakers on this early example of observational cinema muscle included Richard Leacock and D.A. Pennebaker.